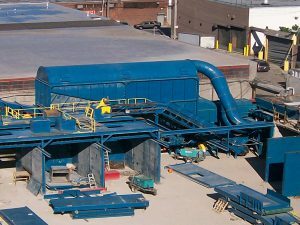 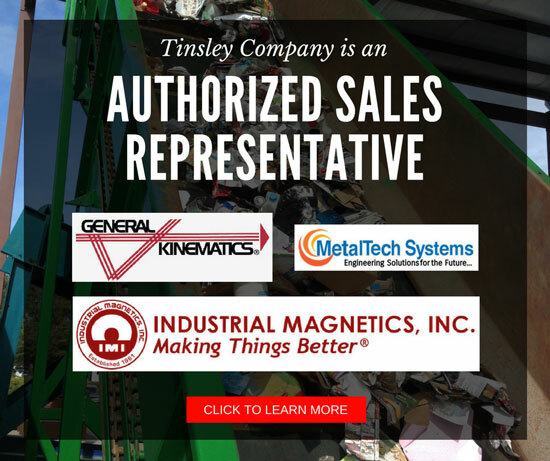 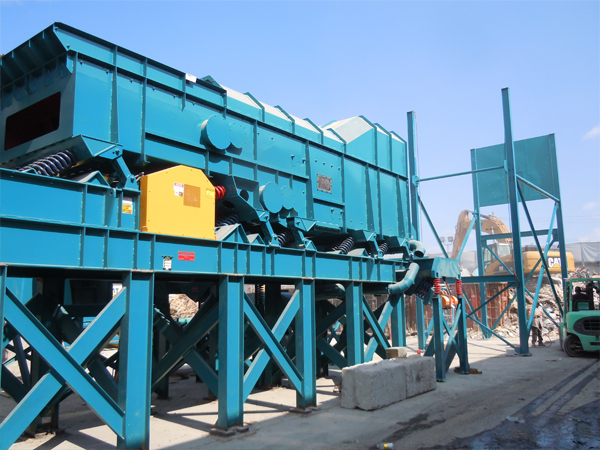 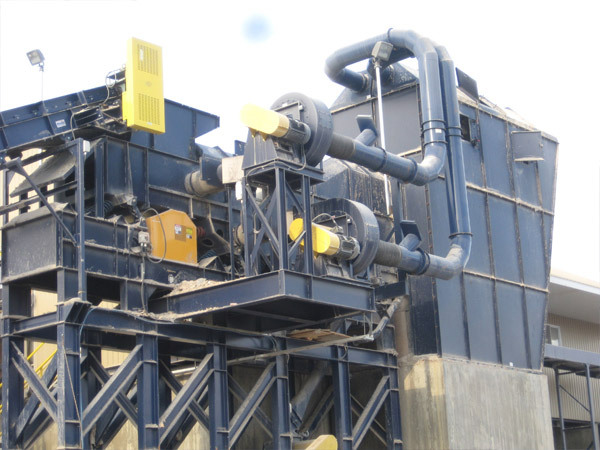 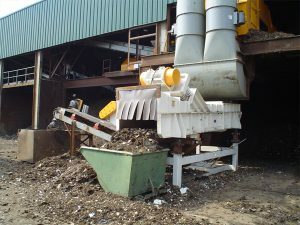 The De-Stoner recycling equipment uses vibratory action and high velocity / low pressure air stream to stratify and fluidize material according to difference in terminal velocity of particles. 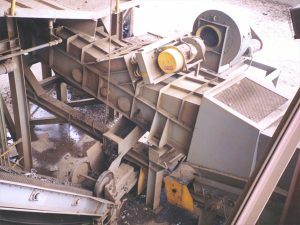 This removes heavy items such as stones, glass, metallics, dirt, etc. 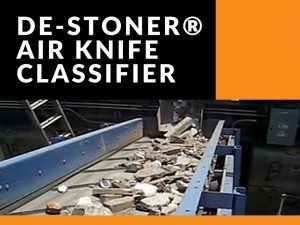 The De-Stoner can be adjusted for varying degrees of separation and is virtually jam-proof. 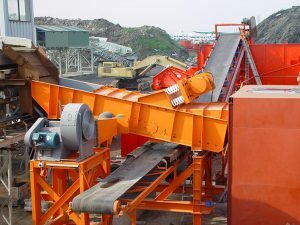 Energy requirements are very because of the single low HP motor and two-mass design. Fully isolated design minimizes foundation requirements. 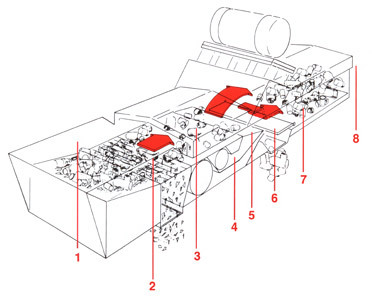 This model separates material using two air knifes, instead of one. This creates an even cleaner product for C&D recycling and other mixed, high volume material. This results in very fast, efficient removal of heavy materials such as stones, metallics and glass from lightweight materials such as paper, plastics, wood and aluminum.